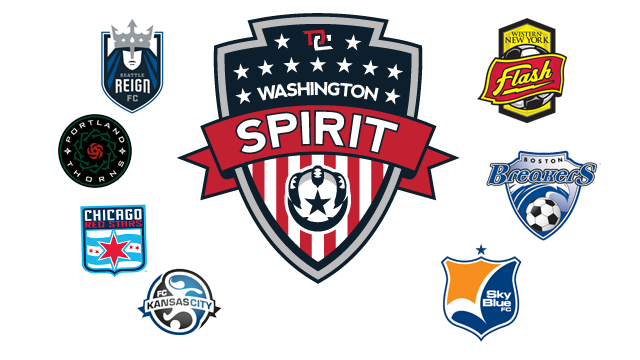 Germantown, MD (February 12) – The Washington Spirit have announced their schedule for the inaugural season of the National Women’s Soccer League. The Spirit open their 2013 season on the road with a match against the Boston Breakers on April 14, then welcome fans to the intimate confines of the Maryland SoccerPlex for their home opener on April 20, against Olympic gold medalists Abby Wambach and Carli Lloyd and the Western New York Flash. The Spirit then host three consecutive home games this spring: April 27 against Sky Blue FC, May 4 against Portland Thorns FC and May 11 against the Breakers. Sky Blue feature U.S. Women’s National Team captain Christie Rampone, while Portland boast U.S. standouts Alex Morgan and Rachel Buehler along with Canadian star Christine Sinclair. Boston are led by U.S. National Teamers Heather O’Reilly, Heather Mitts and Sydney Leroux. Washington closes out the regular season at home with a visit from Sky Blue on Sunday, August 18. The Spirit will play their home matches in the SoccerPlex’s Championship Stadium, a compact venue with 3,200 permanent seats for fans and space for over 1,000 more on the grass of “Spirit Hill,” located behind the south goal; and with standing room around the concourse of the “bowl” style stadium architecture. Tickets to all games are available through the month of February exclusively via season ticket packages or 10-game flex plans at tickets.washingtonspirit.com. Group sales and multi-game ticket packages will go on sale March 1, followed by individual game tickets on dates to be announced by the team. VIP Midfield Reserved*: Limited availability of assigned seats for the season in best sections (104 – 107) on the home side. Away Side & Hill General Admission: Bleacher seating other than sections 101-110, on “Spirit Hill” endline hillside, or concourse standing room. *The team anticipates VIP Midfield Reserved sections to be available exclusively via season ticket packages thanks to strong sales up to this point. Fans wishing to secure an assigned seat for their Spirit experience are encouraged to act fast for the best midfield proximity. Note: The twelfth game in advertised season ticket packages will be an exhibition to be announced announced at a later date.